There is always something happening at Owasippe for every Scout and leader. Here are a few of the programs you will want your new Scouts and Leaders to experience. 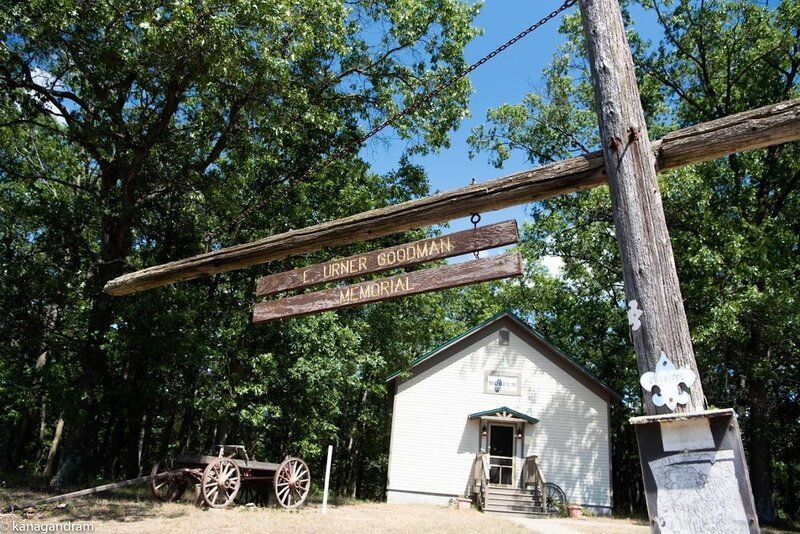 To truly experience all camp has to offer, sign up for a program that suits your needs, visit the E. Urner Goodman Scout Museum and hike the trails of Owasippe. It's all here, waiting for you! Owasippe offers one of the most unique experiences for Scouts and visitors in America. A converted early American township hall, with a one-room schoolhouse, holds a remarkable collection of Scouting history and memorabilia, from Owasippe’s over 100 years of operation. Stop by and view this history of Scouting, located at the Owasippe Administration Complex. Units camping at Owasippe are encouraged to leave a piece of history by donating a Unit photograph with a roster of campers to our yearly photo album. E. Urner Goodman, the founder of the Order of the Arrow, was the Owasippe Reservation Director and Chicago Council Executive in the 1920s. The Museum is also home to the Scouting Heritage Merit Badge program. OA assist in Museum restoration. STEM related merit Badges are an intregal part of each of our Scout Camps. This summer you will not have to travel to access STEM opportunities as they are built into the program at both Blackhawk and Wolverine. Visit the Ecology-Conservation and Handicraft areas to work on a STEM related merit badge or activity. Owasippe‘s First Year Experience Program. This is the Scouts chance to learn the lay of the land, so to speak. In this program, Scouts will work on a number of different skills and rank advancements while experiencing much of what the camp has to offer. From there, Scouts will experience the excitement of being part of programs in Scoutcraft, Nature, and Aquatics. While in the program areas, Scouts will work on their swimming skills, participate in a nature hike and learn how to identify different types of plant life. They may acquire new skills, like knot tying and lashings that Scouts use on every campout. They will learn about Owasippe’s long and cherished history. Remains the camp’s oldest program resource, dating back to Owasippe’s origin in 1911. In fact, many of these routes predate Owasippe as Native American passages, pioneer trails, or lumberjack roads. These trails cover the Reservation for miles, cutting through some of the most scenic and historic locations of Muskegon County and the Manistee National Forest. The Blue Trail is a circular trail that skirts the boundaries of Owasippe. It has a greater level of difficulty and is suited to older Scouts and experienced hikers. Its inspiring scenery and natural wonder compliment the challenge of this wilderness route that takes hikers through the marl beds, one of the wonders of Owasippe. 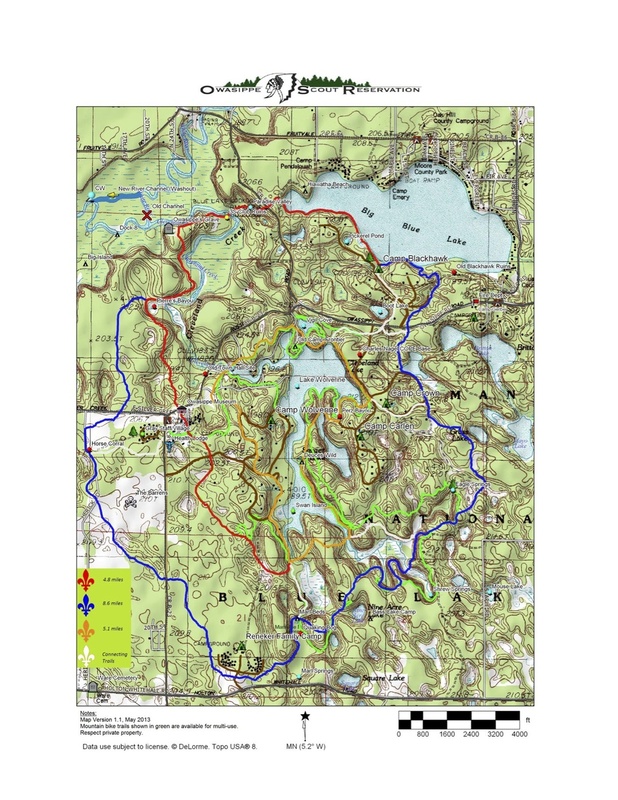 The Orange Trail is a circular trail that follows the edge of Lake Wolverine and travels through Camp Carlen, Crown, and Wolverine. While Lake Wolverine is a man‐made reservoir, the lake has become an integral part of Owasippe’s ecosystem, and many species of plants and animals can be seen by hiking this trail. Common wildlife sightings include turtles, fish, snakes, porcupines, Great Blue Heron, swans, and ducks. For the best chance to see wildlife and great lighting for photography, this trail is best visited early in the morning. The Red Trail begins at Camp Blackhawk and traverses west past Pickerel Pond, through Paradise Valley and on to Owasippe’s Grave. The trail then goes south past Pierre’s Bayou to the Administration Center, past the Tar Pits and ends at the south end of Lake Wolverine, at the Orange Trail. The White Trails connect other trails together or lead to points of interest. Owasippe’s trails are marked with colored fleur‐de‐lis embossed with the word “Owasippe.” A trail map and maps of Owasippe are available from your Commissioner. Scouts and Leaders who hike every trail at Owasippe may wear the “I Hiked ‘Em All” patch, available in the Main Trading Post. Also available for purchase in the Trading Post are segment patches for hiking each individual trail and large OSR trail maps.